One of the Biggest Activity Books Around! In this gigantic book of fun, kids can challenge themselves to a wide variety of fun games and puzzles. With four hundred pages of content, this book is brimming with varying levels of activities that will provide hours and hours of entertainment for both younger and older children. 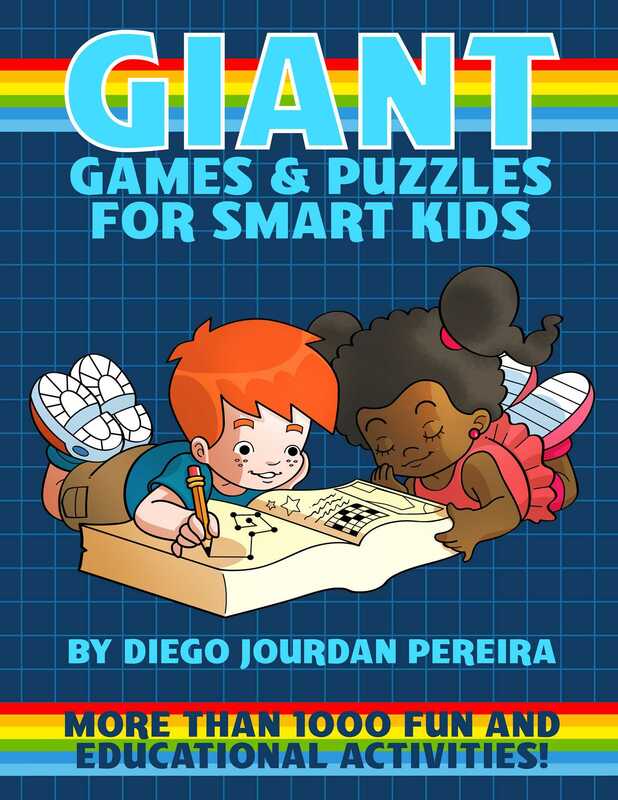 Giant Games and Puzzles for Smart Kids will include everything from mazes to connect-the-dots to coloring pages, as well as activities that will help children develop their reading, writing, and math skills, so your little learn is sure to never run out of fun things to do! The activities included are designed to cultivate creativity and growth all while simultaneously providing an enjoyable, encouraging learning experience! It’s the perfect gift for those rainy days or when parents want their children to disconnect from technology with some wholesome entertainment. Learning has never been so easy and so fun.